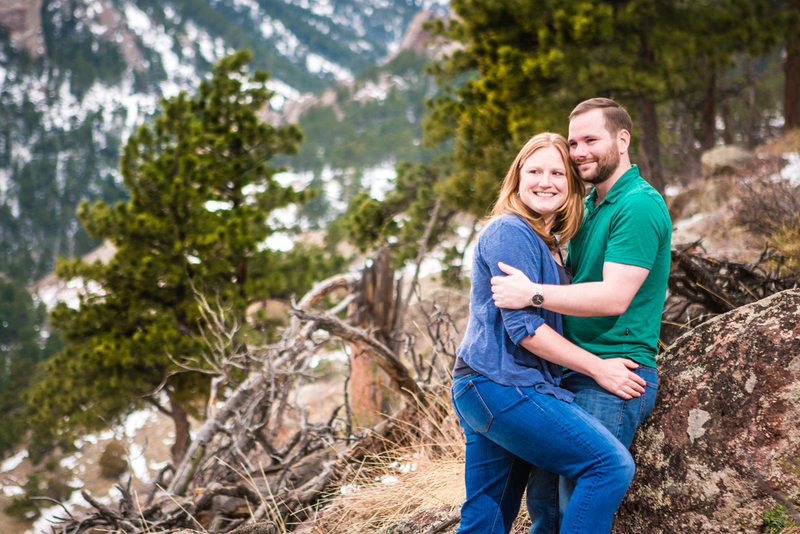 Having gown up in Boulder, Kitty had a few locations for the engagement session picked out, and a few new locations that we were going to try and find. We started out by shooting in some open space, with the famous Colorado Rocky Mountains in the background and then moved closer to the Flatirons and shot on the National Center for Atmospheric Research Trail, which is part of the Mesa Trail. This location gave us beautiful views to the north and south. After shooting along the trail we headed toward Downtown Boulder, stopping briefly at the CU campus to take advantage of their beautiful architecture, and then finished up the engagement session at Pearl Street Mall. Hanging out with these two, exploring new areas of Boulder, was so much Fun. After just a few hours with them, it became obvious that they're perfect for each other! I can't wait to capture their June wedding at Deer Creek Valley Ranch Wedding and Event Venue.